Add some flavour to your family get-togethers with this superb health grill from Tower. 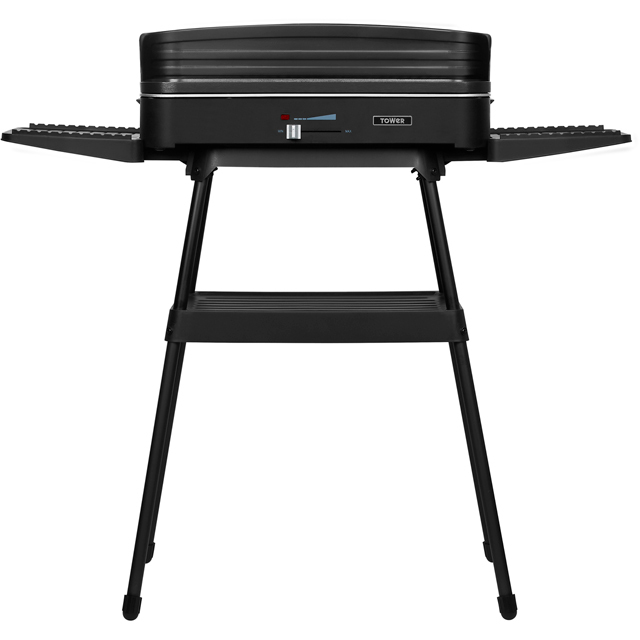 It can make up to 10 portions at once, and the sturdy stand makes it perfect for barbequing outside on the terrace. But, if the weather sabotages your plans, it’s designed to be used on a worktop for cooking indoors too. Whether you’re preparing succulent burgers or delicious corn on the cob, the slide controls make it easy to precisely adjust the temperature, so you’ll have beautifully cooked, healthy food every time. And, because the grease-resistant, non-stick grill plate can be easily wiped down or popped in the dishwasher, you can spend less time scrubbing and more time enjoying your meal – come rain or shine.